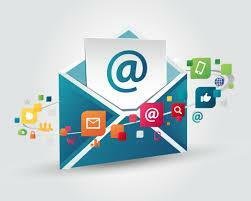 There was a time when email marketing was regarded as the mainstay of a small business. 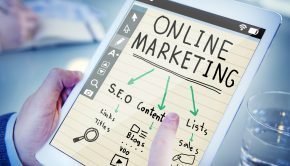 But now with the World Wide Web available on one’s smartphone, any business can ignore email marketing only at its peril. 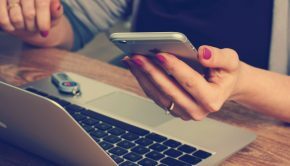 However communicating with hundreds of actual or potential customers day in and day out can turn out to be an overwhelming task for an individual. There are however several types of tools available online that you can use not only to create and send emails but also test, optimize and report on your email campaigns. Here are then 6 tools to enhance your email marketing efforts and increase your sales conversion rate. For an effective email marketing campaign, you need enough people in the first place to send emails to. While you may already have email addresses of existing customers, you need to enlarge this database as much as possible. And to this end, easy sign up features can be a huge aid. For example include a sign-up button on your blog or web page so that interested visitors can leave their contact mail address. Alternatively to access further features on your blog, you can have visitors to register which will immediately give you access to their email addresses. Include subscribe buttons on your social media page or add web forms to your site. There are scores of email marketing tool suites online which help you create amazing templates for your email campaigns. MailChimp is hugely popular for their vast collection of templates running to several hundreds. And with the world moving on to the palm of your hand, you need a template provider that is optimized to display on smartphones. Again the best of such tools include swanky options drag and drop editor for prompt, no-hassle and creative email layouts. Further, such tools enable you to code your email directly with HTML as well as inline CSS. If you need any help with writing email get in touch with some HTML writing experts. The rider with such tools is that they usually have an upper limit for the number of emails you can send in a month like 12000 or for the subscriber number like 2000-strong subscriber base. 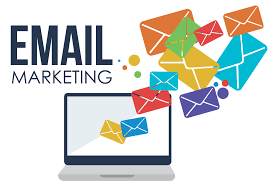 You may have the most awesome template creator as well as exhaustive email list, but your email marketing campaign can quickly get chaotic unless you have tools to organize your contacts properly. It goes without saying that you will not be pitching the same product or service to a seventy year old man that you will be marketing to a high school teen. So depending on your business needs, look for tools that can categorize your email list according to physical location or demographic traits like age and gender. This will eventually help you target your market directly and result in a more effective email marketing campaign. While there are many email marketing suites that offer you varied templates and even the possibility of customizing them according to your business needs, some go even further. 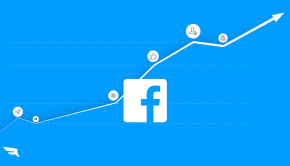 In this age of social media, it is essential for all your marketing campaigns to be integrated with social media sites as well as popular applications like Paypal, Bigstock, Survey Monkey, Aviary, and Google Analytics. What’s more integration can be especially useful with third-party services like Salesforce. You may hire the most hip email marketing service providers but unless your email recipients can be converted into actual customers, all that jazz may count for nothing. So when planning your email marketing campaign make it easy for your recipients to make the journey to the “buy” button like a smooth transition to your webpage or direct link to the customer’s wishlist page. In fact the best email marketing service providers have prompt response reporting tools which are not only easy to understand but can quickly lead to usable action – for example a tool that gives you a list of subscribers who have clicked on your site link can help you use it to make a new send list. 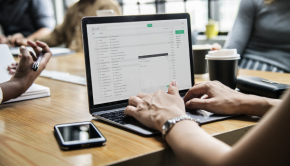 Your tech might be in place but if your email marketing campaign is scattered with writing errors, you can rest assured that your customers – existing and potential – will be left with a negative impression. So look for copywriting tools like online assignment writing and top assignment experts that can help you come up with content to match professional standards. As even as you are creating your content with your regular word processor, such tools helps you pick out spelling and grammatical slips. Additionally stylistic suggestions are also provided to make for easy readability. What’s more these tools like thanksforthehelp even help with editing and proofreading. Then there are times when you simply need to go back to the basics. In such situations, features like word count and character count seamlessly track the number of words and characters in your copy so that you don’t have to check separately for each copy. Best of all, you save time and effort with the smooth sync of writing and editing work. Pankaj Raghav is a search marketing and an e-learning consultant. Now he works as a consultant and content manager at Top Assignment Experts. Read his latest post about Discounts in Australia.